Unused armor abilities found in Halo 4 code - check this video of a mod using the codes in action. Woah! Finally an official thing from Bungie on their new game, Destiny. "Go ahead. Take a peek. It’s alright. We weren't quite ready, but we will be soon, and we can’t wait to finally show you what we've really been up to. Stick around, we haven’t even started yet." 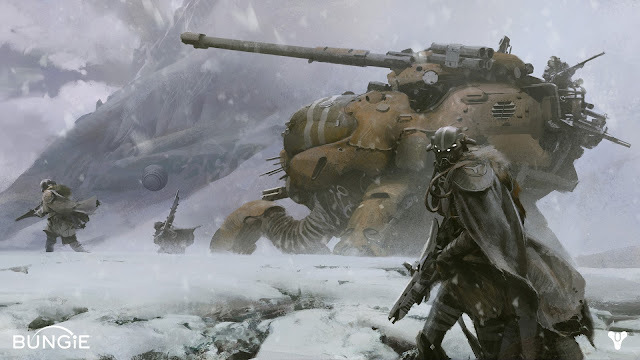 The screenshot shows an awesomely curved tank / battle gun of some kind, foot soldiers bearing arms and a landscape setting that appears to be er... snowbound. Issue: Lag during Spartan Ops and co-op campaign. Halo 4 uses 2 different network models for online play. Spartan Ops and Co-op run on a “synchronous” network model. Let’s say you are playing 4-player co-op. One player is the “host”, the other 3 are “clients”. All 4 players load the level, and all 4 players start the mission at the same time. 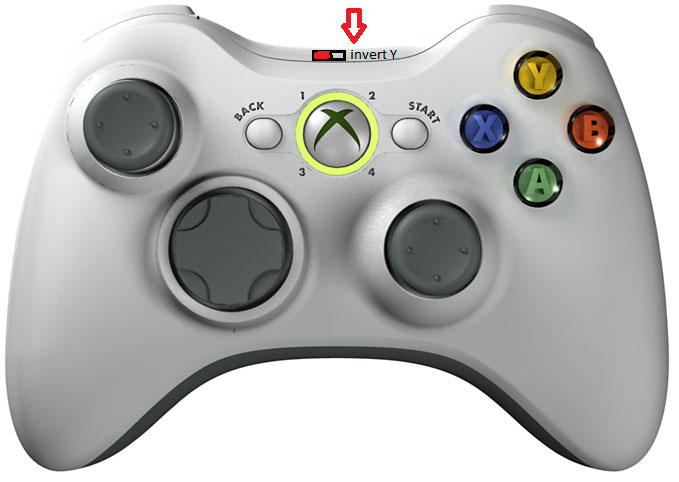 Now, when a “client” presses a button, such as ‘jump’, their Xbox sends a signal to the “host” Xbox, telling it what the client player is doing. The host Xbox receives these signals from all 3 clients, then calculates every movement, bullet fired, damage done, etc, and sends the updated information out to all the clients, who’s Xboxs then reproduce the changes. But, the host will only send out these updates when it has received signals from all 3 clients. It does this to maintain accurate and consistent information across all 4 players (In other words, all 4 players are seeing the same things in the same places at the same time). This is where the lag comes in: If just one of the players in the game has a bad connection, it slows down their ability to send information to the host, which means the host has to wait longer before it can send out gameplay updates to the other players. So, even if you are a client with a great connection, and the host has a great connection, you can still get major lag if one of the other clients has a slow connection. This is experienced as a sort of input delay (the game will not instantly react to your button presses). Check the link for more details on War Games an multiplayer modes. 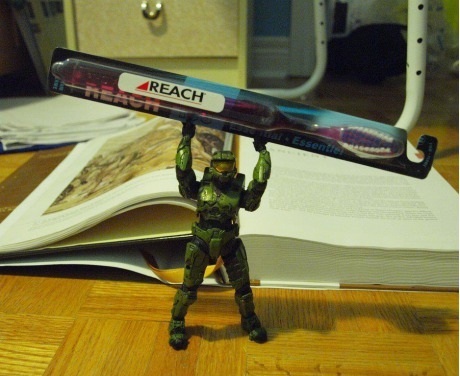 Such was the Chief's legend, even a no-nonsense Spartan imagined him a giant. Halo 4. You may have heard of it? 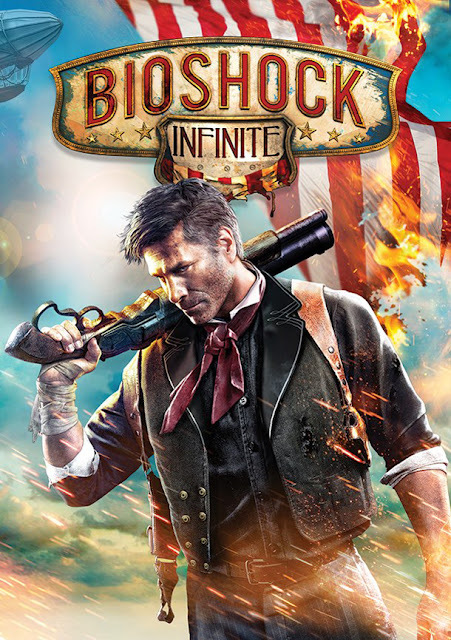 Despite the game being illegal to offer for sale on opening day in New Zealand, I'd managed to get a copy in the morning of launch day and proceeded to play it over the next three nights on the normal setting. No disrespect to the makers of the prior Halo games Bungie, Halo 4 is the game that Halo: Reach should have been, that is to say a direct continuation of the story that was 'finished' in Halo 3. And why do I say that? Because Halo is about the Master Chief and this is a Halo game! The gist of Halo 4 is the Master Chief has found himself on a planet of Forerunner design where an entity known as the Diadact is pretty darn keen to destroy humanity and it's up to John117 and his rampant companion, Cortana to save the universe one more time. The opening vignette is a bold statement by 343 Industries. Featuring Dr Halsey being interrogated or interviewed (depending on your point of view as she's hand cuffed) by an unknown agent seemingly intent on getting some unknown truth out of her about the Spartan programme and the Master Chief. 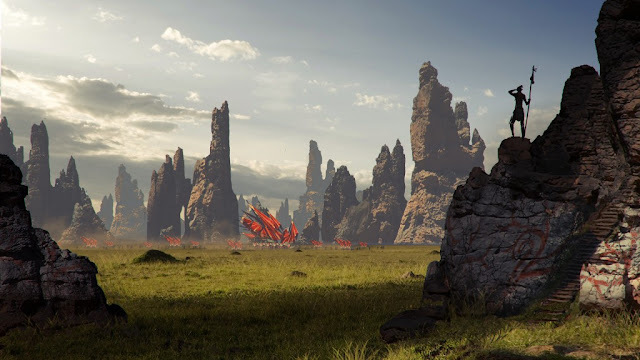 It's one of the most foreboding starts to a Halo game ever presented, bringing a story angle that's only ever been addressed in the wider Halo universe via novels and firmly places the context of the game as being about John117. It's also 343 saying, hey we can do the most amazing animation that's ever been done for an Xbox game. 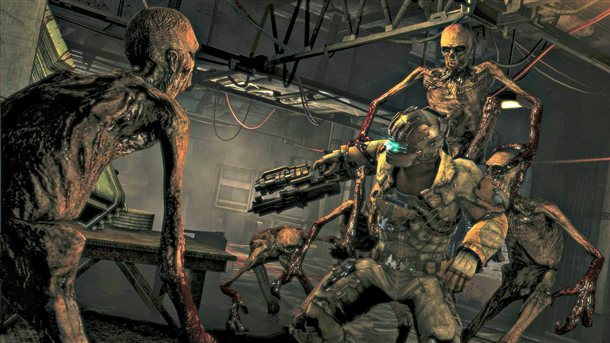 If the Xbox 360 is nearing the end of it's life then may it's death be swift so that all future games can look this good! 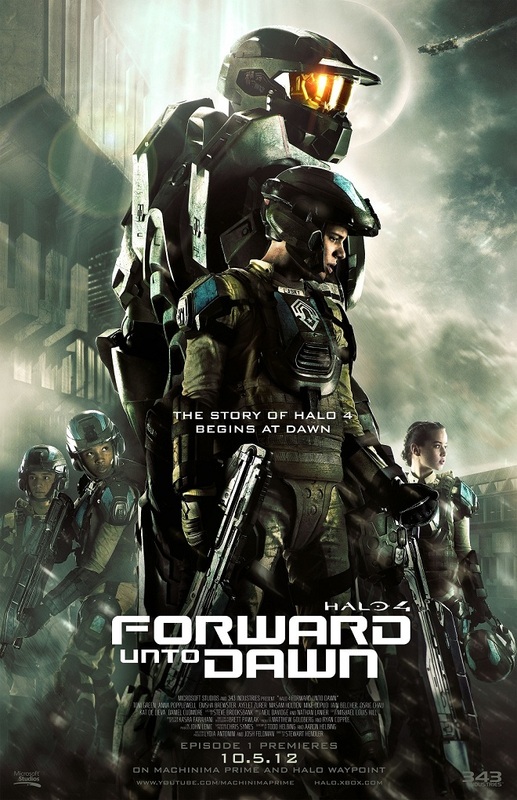 Plot wise, Halo 4 is pretty simple in that it's just a race around the park trying to figure out how to stop the Diadact, saving a few soldiers here and there, taking down a Covenant armada there and battling the Promethean army (which turn out to be some kind of enslaved humans), oh and hunting down the Diadact. 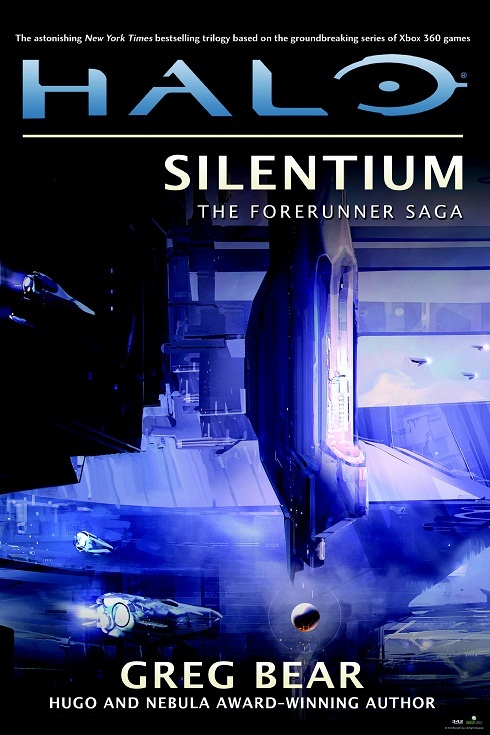 One thing that puzzled me and I'm sure to figure it out on a second run through is why the so called Covenant Zealots had come to Requiem, unless I missed something it was explained too well. The mechanics of Halo as we know it are all there - the meelee, the grunts with useless aim, grenades, DMR headshots and the new and improved assassination from behind are extremely fun to get back into. Some of the set pieces were quite brilliant - very late in the game we visit a Halo installation where we have to hold of a significant push by the Covenant using a Mantis. It's epic and will challenge any seasoned Halo player on the Legendary setting and serves an example that the new makers of Halo know a thing or two about making video games. For this player, the graphics are the true highlight of the game. 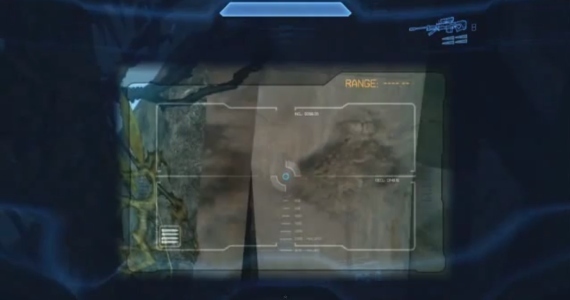 Video cut scenes are brilliant, Cortana and the Chief are amazingly drawn characters. Cortana has been given a vibrant feel (she's well acted too by Jen Taylor) and the Chief's verdant greens are a stand out You may recall level Sierra 117 from Halo 3 were the Chief runs through a forest to save Johnson. The forests in this iteration of Halo makes that level look like it was done in crayon by a blind person. It's just marvellous. 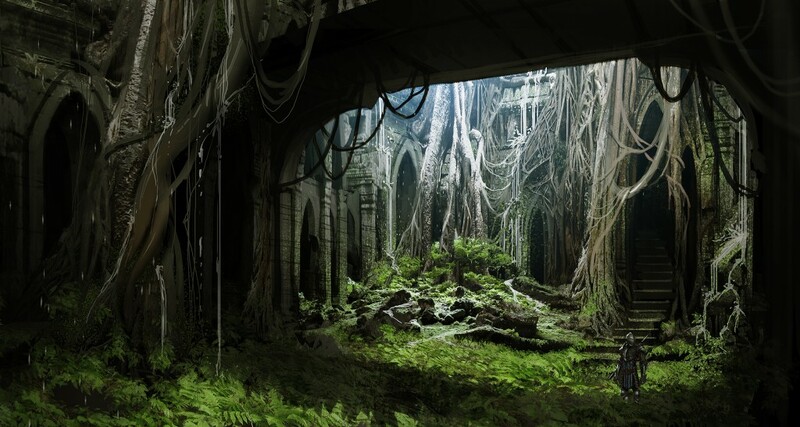 To promote Halo 4 a whole lot of concept art was released and it was simply fantastic to walk around a corner and boom - there were the structures and ideas that had been my desktop screen come to life in game. I think Halo 3 is my favourite Halo game as it came out at the apex of my Halo multiplayer mania and it 'finished the fight'. This new Halo is probably the best Halo thus far in the sense that every previous element or mechanism that I came across in game has been improved apon, the graphics are amazing and the Master Chief has been made into a real character with a touch of humanity about him as opposed to the automaton that he arguably was in say Halo 2. The ending of the game features a awesome trench run of sorts in a Broad Sword, a game of hide and seek and an ending that had a touch of tragedy about it and the moment when that occurs is arguably the defining moment of who the Master Chief really is. 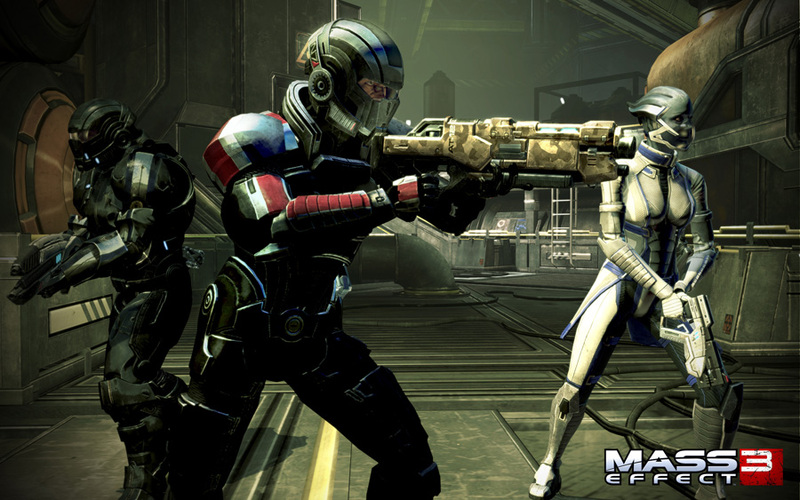 Casey Hudson asks via twitter what we want to see for the next Mass Effect game. Quality writing, reviewed by an expert. A sequel, not a prequel. 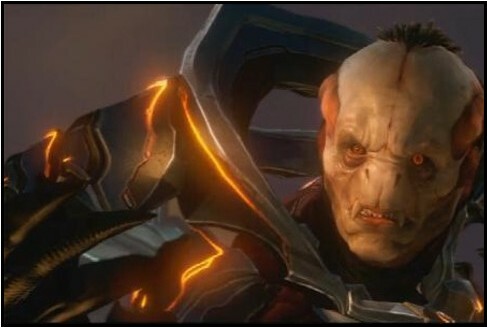 Meet the Diadact, the bad guy of Halo 4 and the ever loving husband of the Librarian. 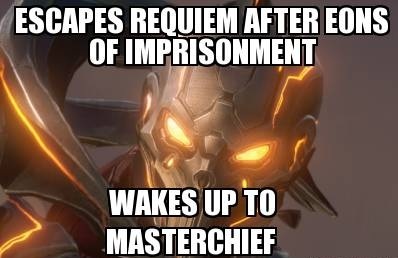 The Didact was a Forerunner Promethean who held an extremely high status in the Forerunner society as supreme commander of the entire Forerunner military. There's a huge back story but eventually he took control of the body of Bornstellar Makes Eternal Lasting (refer Halo: Cryptum) and set about laying plans to finish off the Halo programme. 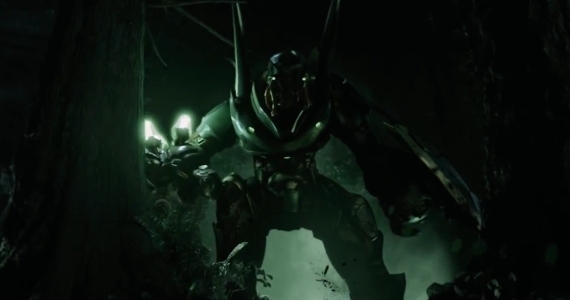 By the time the Diadact finally meets the Master Chief in Halo 4, his actions across the milenia have seen him defined as the bad guy of the Halo universe. Do you have some books to return young man? After being first mentioned in the Terminals that were found in Halo 3, the Librarian has loomed large in the back story of Halo, effectively acting as humanity's guardian angel, working to counter the after effects of the Human - Forerunner War, the battle to protect the Universe from the Flood and finally the actions of the Diadact. 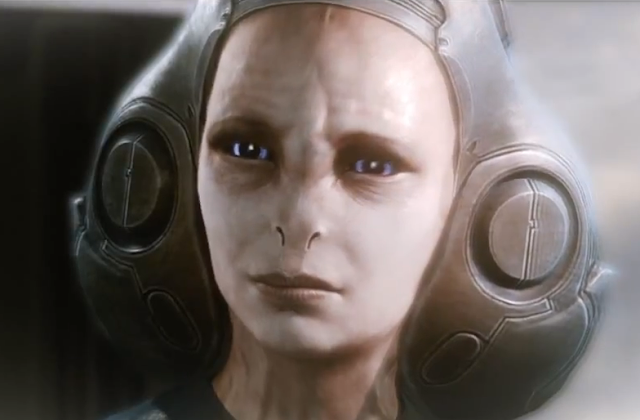 The Forerunner novels Cyrptum and Primordium showed the Librarian has one of the central characters of the Halo realm, so to finally see what she looks like in Halo 4 is nothing short of a great moment in Halo gaming history. This image of the Librarian taken is a great example of just how far Xbox game design has come - you may recall one of the biggest criticisms of Halo 3 (and ODST) was just how bad human faces were represented. The characters in Halo 4 are just amazingly detailed. Here's an article on the behind the scenes needs to keep the juggernaught of Halo 4's back end infrastructure up and running. Jerry Hook and Tamir Melamed, the hardest-working plumbers in the video game world not named Mario or Luigi. Hook and Melamed lead the engineering team laying the subterranean IT structures that will power every pixel of the multiplayer experience in “Halo 4.” Everything fans experience online – stats, screenshots, the simple joy of blasting a friend or stranger to smithereens – depends on the infrastructure they’ve built over the past year and half. That infrastructure is supported by Windows Azure, which provides the team with the affordable scalability they need to keep a game like “Halo 4” running smoothly for fans. The average gamer probably doesn’t think about the virtual machines, cloud services and other technologies that power their fun – at least not as long as everything runs smoothly. 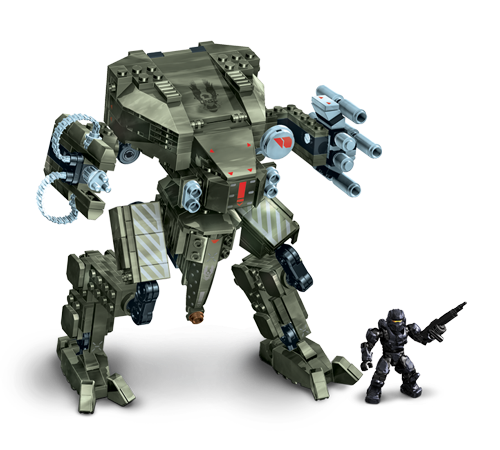 When “Halo 4” launches Nov. 6, millions of fans around the world will simultaneously push the game’s back-end scaffolding to the limit. Any glitch, any hang-up, and the engineering team gets thrust into the spotlight. If Hook and Melamed are concerned about the launch, they don’t show it. They’re both naturally modest and laid back – probably by necessity. When the first “Halo" game launched more than a decade ago, the video game industry’s rhythm was more or less straightforward: create a bunch of discs, ship them, and start work on the next release. Things have changed. 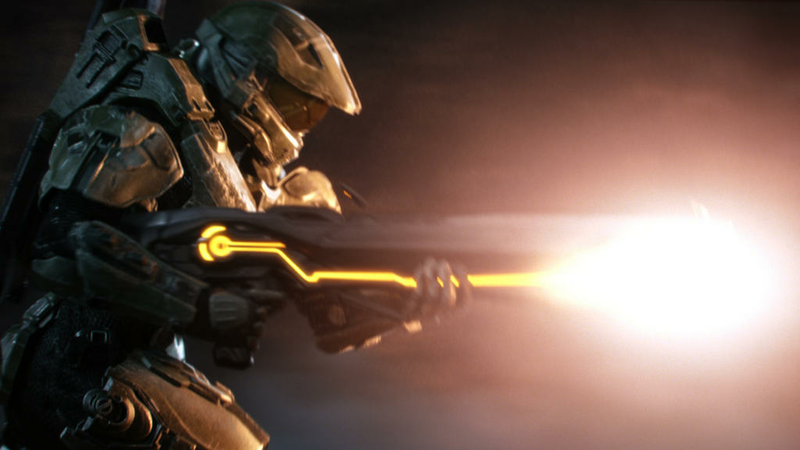 Since “Halo 2,” the franchise has supported online multiplayer games via Xbox LIVE. Today the Halo Waypoint site is open 24/7, serving as a central hub for fans craving online games and Halo-related content. The upcoming “Halo” release features Infinity Multiplayer, a vastly expanded suite of multiplayer modes, weapons, vehicles, armor abilities and more. And “Halo 4” takes the multiplayer experience even further with Spartan Ops, a series of episodic videos coupled with missions that will stream to users every week. 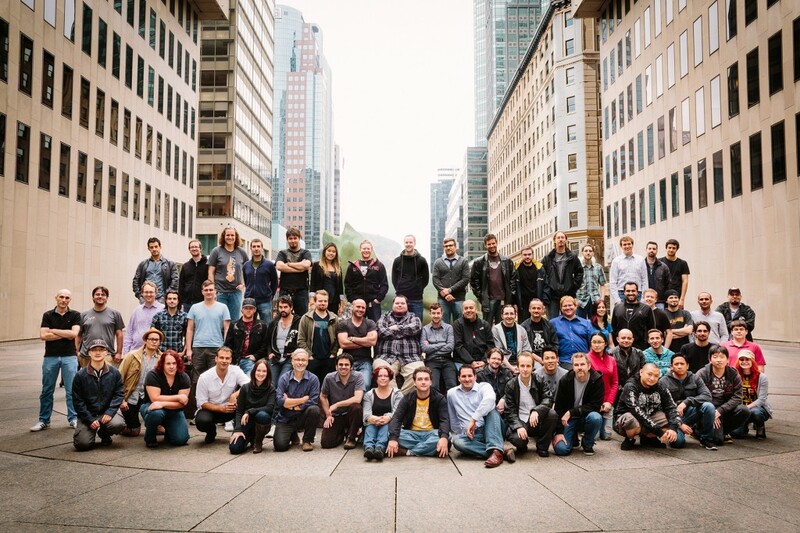 To keep things up 24/7, they decided to take the franchise’s existing infrastructure – built over a decade by the Bungie game studio – and move it to Windows Azure. The team says Azure gives them a robust, cost-effective way to scale up and scale down as demand ebbs and flows across the globe. Meanwhile, they’ve built up a team of engineers that possesses serious coding chops and the ability to stay sane in the always-on world of live services. Hook and Melamed recently sat down with the Microsoft News Center to chat about “Halo 4,” the gaming industry’s shift to a services-oriented world, and how to stay cool when the building’s on fire. 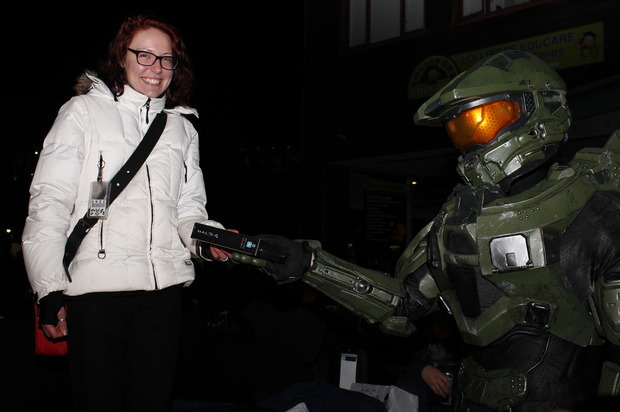 MNC: So how does your behind-the-scenes work show up in “Halo 4”? 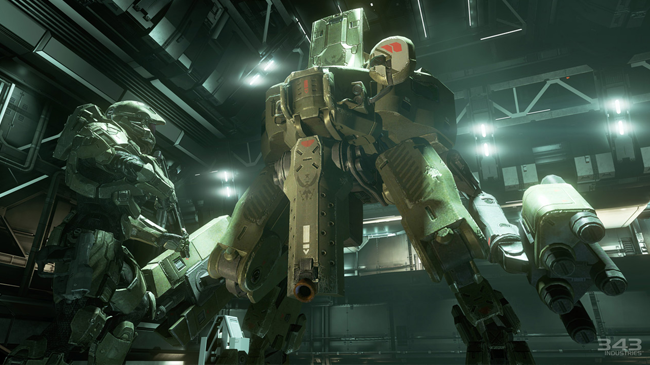 Melamed: There's a whole new slew of scenarios we enable on the back-end, either in the game or on Waypoint, that people enjoy: screenshots, their stats and the ability to compare to friends, different game modes. We make sure if someone is hassling someone else in the game you can ban them. All those abilities really help users enjoy the game more. Hook: From my perspective, part of what 343 Industries is trying to do is have a conversation with fans. When you talk about service-driven game development, when you talk about new modes like Spartan Ops, these start becoming more long-tail models for entertainment instead of release a disc, go dark and come back. That means your community engagement maintains through one title to the next title as much as possible. So there’s what Tamir was talking about in the game, like screenshots and map packs, but you also see more entertainment like Spartan Ops. Think about a TV show: you don’t just launch and then go dark until the next year. 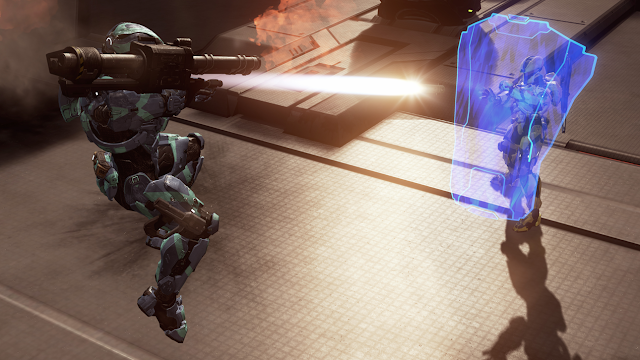 With Spartan Ops, we’ll release an episode every week. 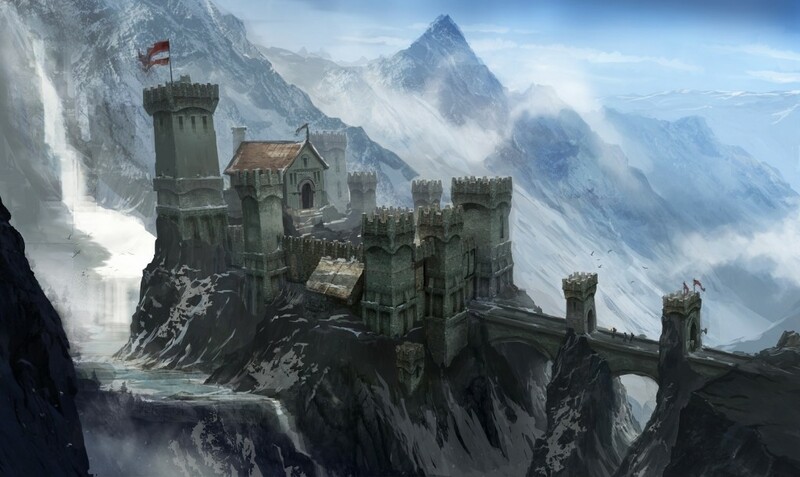 Each episode is comprised of five missions with stories similar to your campaign. So for the first time when you purchase a disc, you don’t just have one campaign but you get two: the standard one and an ongoing, episodic one. Melamed: Fans will be able to come back every week and experience a new episode. They can jump in at any time, or watch and play old episodes – as you would similar to DVR. Players will be excited to come back to the title for the new experiences. Do you remember the original body painted Mass Effect girls? 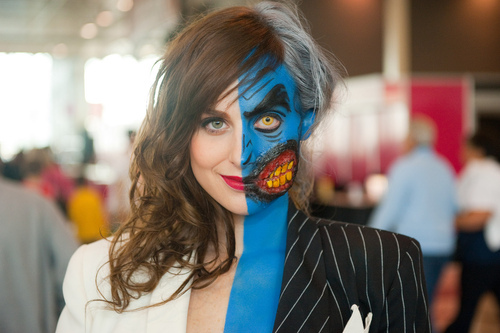 Finally, someone has upped the ante with a fine example of Mass Effect cosplay mixed with paint to produce this fantastic version of Miranda Lawson from ME2 and 3. 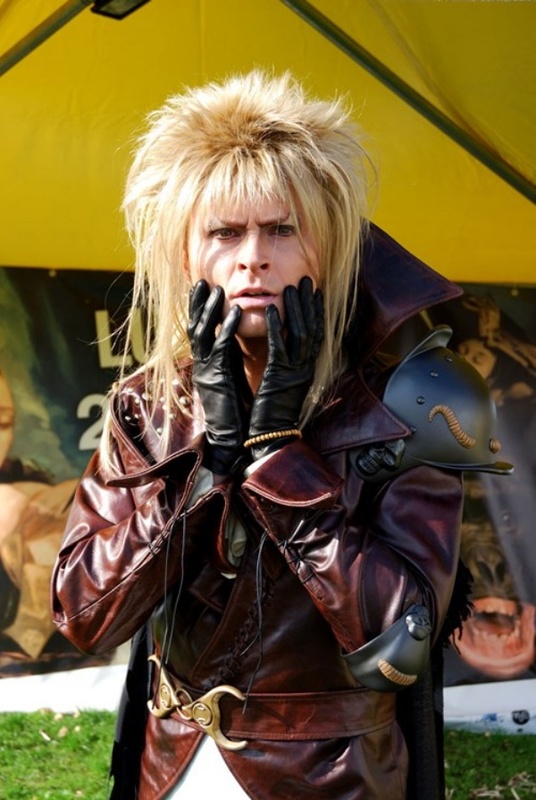 A fine cosplay impersonation of Jareth from the Labyrinth movie. They should totally remake the movie I reckon! A Redditor asked "Why is this not a thing?" and I agree with them - there's nothing more annoying than having mates round to play Xbox and when it's the turn of the dude that likes his set up inverted and everything has to stop while they set it up. 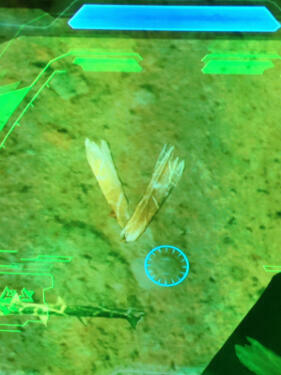 Coded Halo 4 message revealed by 343 - who is the Coalminer? 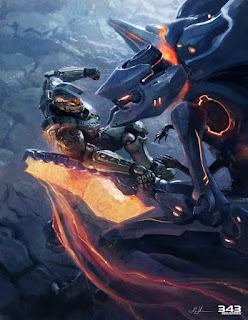 Will we meet them in Halo 4? The many faces of the Master Chief - a comparison of the MC117 via the years. 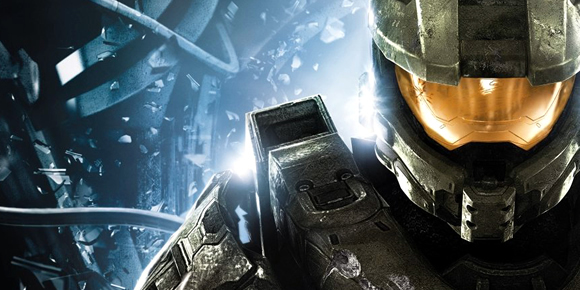 Will we see the Master Chief's face in Halo 4? - bet the farm you will not. Daniel Cudmore talks playing the Master Chief - That dude from Xmen talks playing John. JJ Reviews: FUD Part II - Frankie cameos in the FUD. That's it. 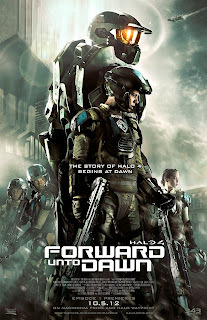 Will and when will Forward Unto Dawn be released on DVD? Soon my friend, soon. 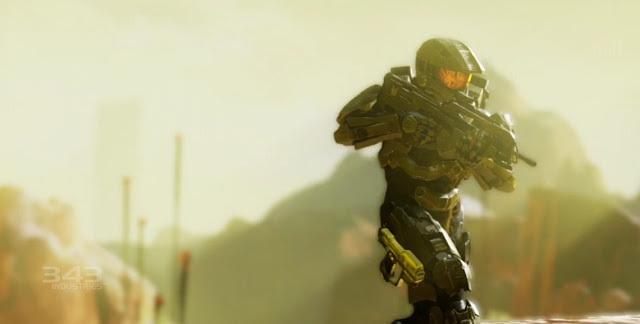 The Halo 4 Progression system explained - how you rank up in Halo 4 and then specialise. 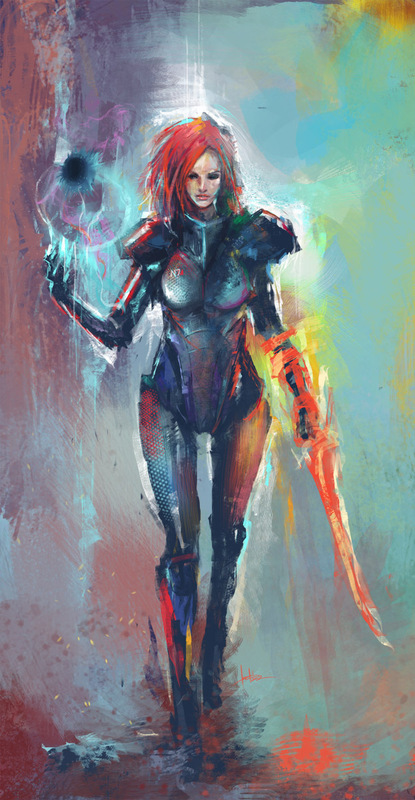 Who is Jul M'dama from Halo? - Jul features in the first terminal of the campaign - see who he is. How does the A.I. intelligence work for Halo 4? - will you be flanked by a Battlewagon? Where is my Minds? 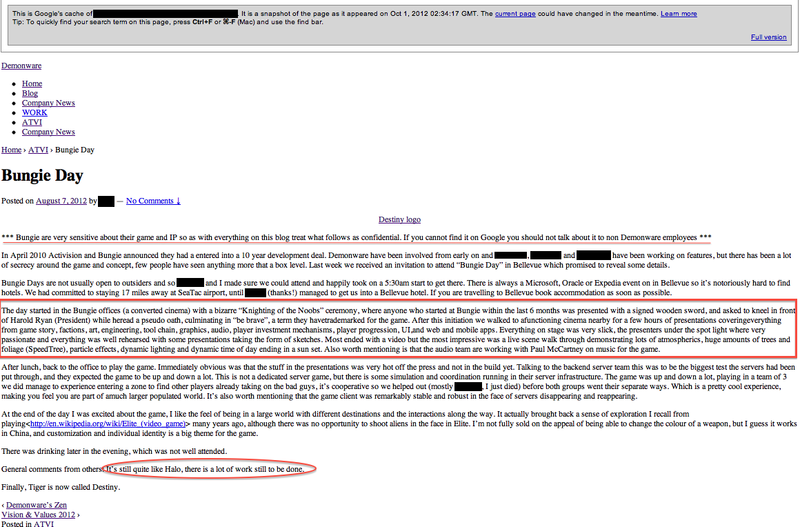 - Halo Reach had a secret I had no idea about. 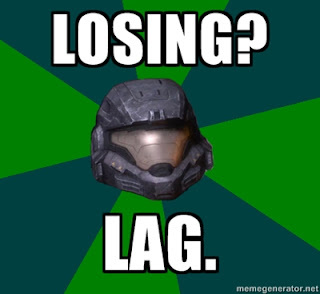 Want to win a copy of Halo 4 and a Xbox 360 to play it on? 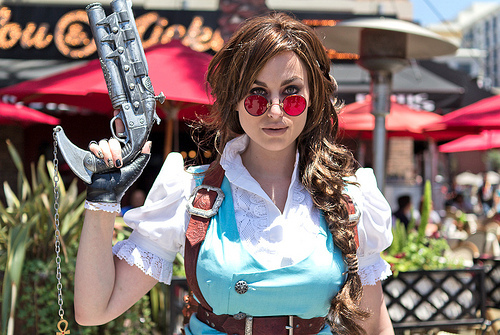 Enter our competition sponsored by GameStop!